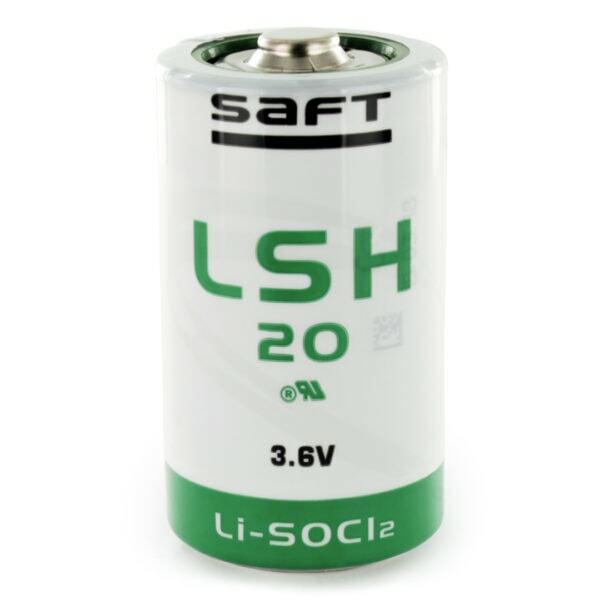 The Saft LSH20 is a D size primary lithium cell based on Lithium Thionyl Chloride (Li-SOCl2) chemistry and features high surface area spiral electrodes for maximum current capability. They are designed for applications requiring continuous currents in the 0.1-1.8A range, with superimposed pulses as high as 4A. 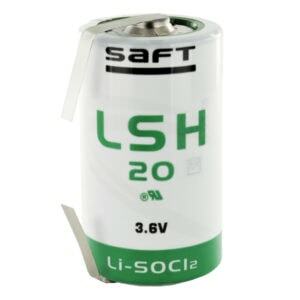 This battery may also be known by the reference ER34615M.